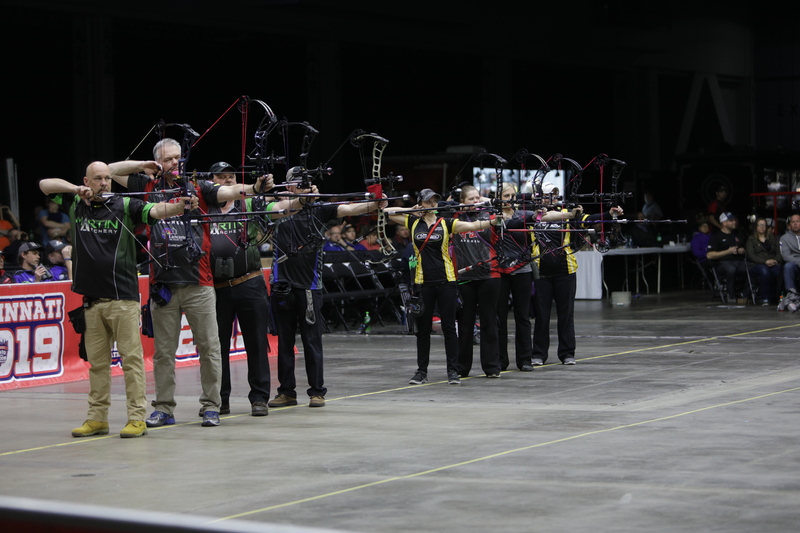 Twenty-one Professional Male Freestyle archers shot clean scores of 600 with 120Xs over the two days of competition at Indoor Nationals 2019 in Cincinnati, Ohio. Denmark’s Stephan Hansen won first place, a prize of $10,000 and his second Indoor Nationals title on Sunday evening at the Duke Energy Convention Center. “The first time it was easier because I didn’t have many expectations, this year I kinda knew I could do it, but I still had to do it. It’s tough but it’s awesome,” said Hansen. After the 21 men stood on the line, inside-out scoring quickly thinned the field to just five shooters: Jacob Marlow, Jacob Slusarz, Jase Boils, Richard Bowen and Hansen. Marlow and Slusarz dropped points the next end, leaving Boils, Bowen and Hansen to contest the podium positions. They all shot another clean end, but one pass later only Hansen kept his five arrows in the X-ring for another perfect 25-point end. “Long round, it’s a lot of arrows but it’s fun every year, I enjoy being here, I enjoy coming here and it’s really nice,” added Stephan. Boils and Bowen went into another end to decide the second and third places. Boils scored 25 and Bowen 24 to finish third. The 21 finalists were: Stephan Hansen, Jase Boils, Richard Bowen, Jacob Slusarz, Lonnie Marlow, Jesse Broadwater, Christopher Perkins, Colton Hamilton, Justin Martin, Dan McCarthy, Tate Morgan, Mike Schloesser, Caleb Sorrells, Travis Tracey, Dustin Bounce, Shane Wills, Paul Tedford, Christopher Schnur, Bridger Deaton, Richard Jackson, and Carson Sapp. In the Professional Female Freestyle division, Paige Pearce and Cara Kelly shot for first and second places after they both were tied at 600 points with 119Xs. Pearce won it in the first end of regulation. “This is my first time [winning Indoor Nationals]. It’s pretty awesome, I won three other NFAAs, so I was trying to get an indoor, I finally got one,” Pearce said. 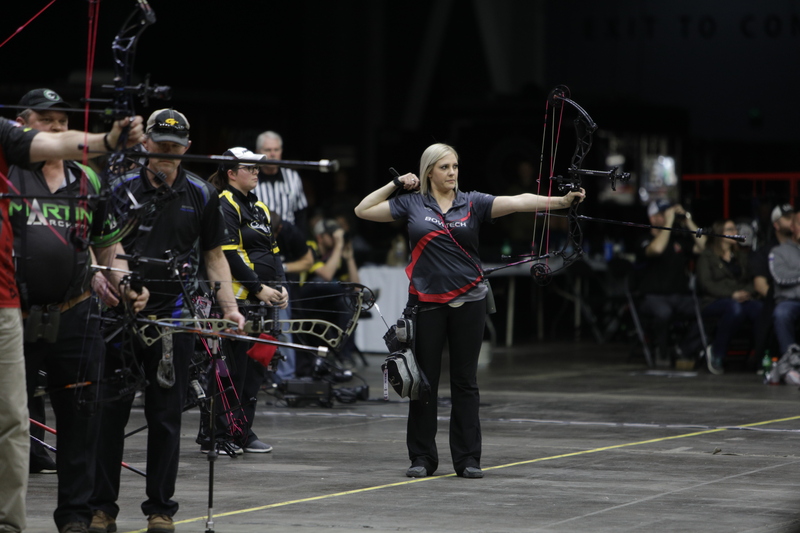 Third place was decided in a shoot off between Dusti Batsch and Tanja Jensen, who had tied scores of 600 with 118Xs. Tied on 25 points after the first pass, they went into a second end of inside-out scoring on the X as five points. Bastch scored 24, Jensen 25 to take third. 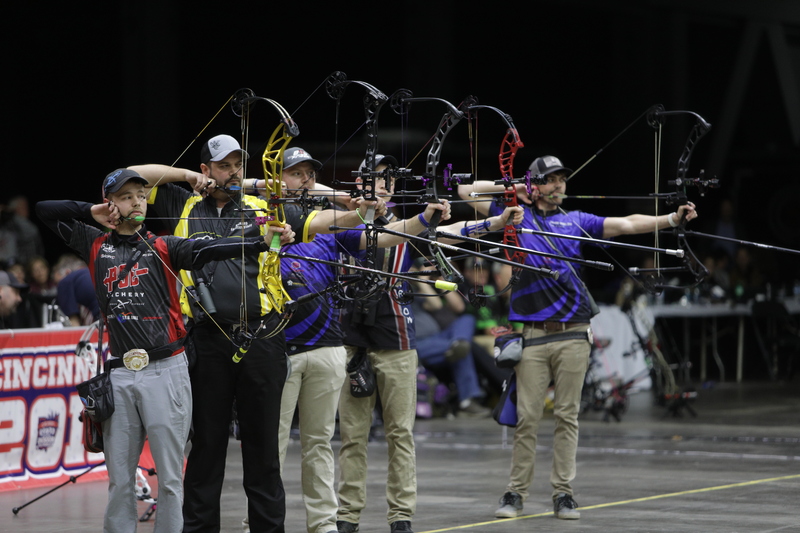 Professional Senior Male archers Benton Christensen, Keith Trail, Scott Starnes and Kendall Woody all scored 600 points with 119Xs over the two days of competition in Cincinnati. They went to a shoot off for first, second and third places. Keith Trail was winner after scoring a perfect 25 points in the first end. Benton Christensen, Scott Starnes and Kendall Woody went into a second end. Woody claimed second place with a 25, leaving Christensen and Starnes shooting one more inside-out end for third. Both senior male archers scored 24 points, forcing one last fourth end. 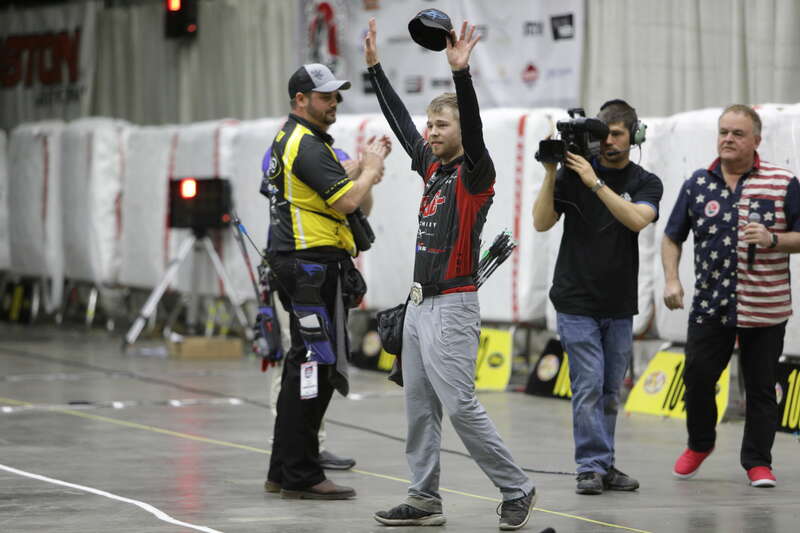 Starnes missed his first two arrows scoring 23, while Woody shot perfect to secure the third position at the Indoor Nationals 2019. Watch full results from Indoor Nationals 2019 on Ianseo.